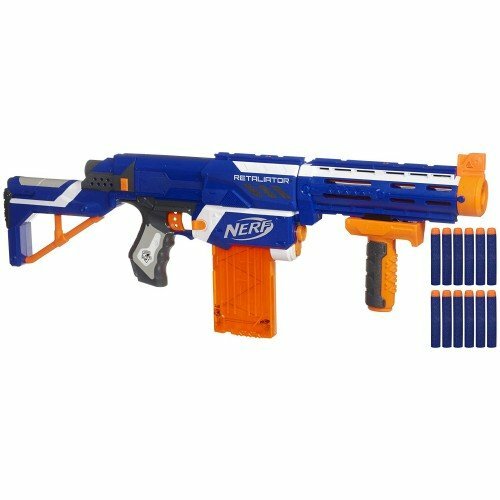 The Nerf N-Strike Elite Retaliator blaster is one of the most customizable blasters on the market. Modify your blaster for any mission by changing its internals in moments. Plenty of interchangeable aftermarket mod components makes the Retaliator a good base blaster for any situation allowing you to customize the blaster to your needs or wants. 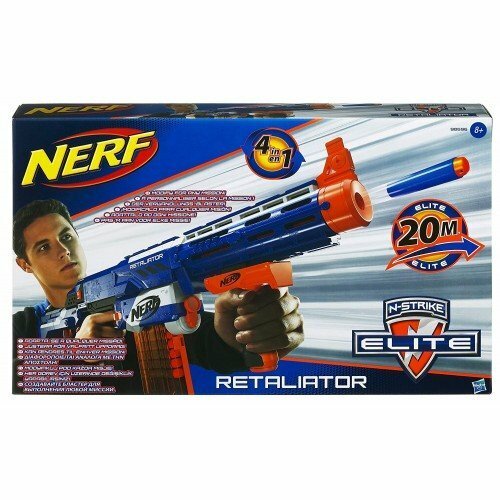 Gear up and get ready for intense action with the Retaliator blaster.